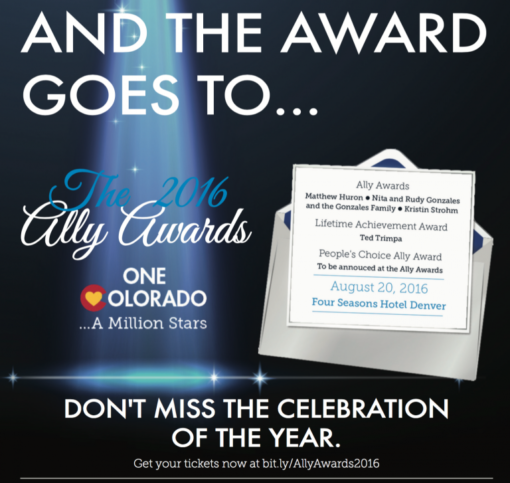 Join us for the 2016 Ally Awards (8/20)! When an ally to the LGBT community takes a stand, it can change the lives of people in our community. One Colorado celebrates the contributions of allies at the annual Ally Awards because their courage is an incredible asset to our work. While the work of many of our allies is visible, we know that many other individuals do not receive the recognition they deserve for working to advance equality for LGBT Coloradans across the state.